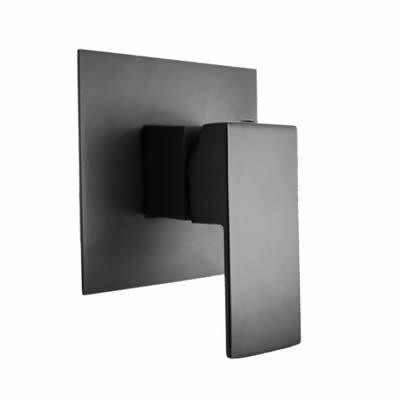 Give your bathroom a complete makeover with the stylish Cube Shower Mixer (Satin Black). Boasting style, practicality and affordability, the Cube Shower Mixer is sure to add a contemporary and trendy touch to any bathroom installation. It features a durable satin black finish and has been thoughtfully designed with ergonomics in mind. With a solid lever handle, the Cube Shower Mixer can easily be gripped and operated with one hand. 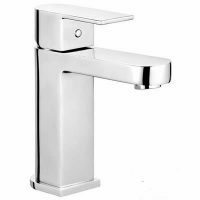 It is also equipped with ceramic disc cartridges, which makes it incredibly easy to control water flow and temperature precisely. 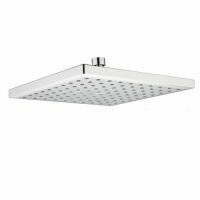 As a product of superior grade, the Cube Shower Mixer exhibits impeccable workmanship. It is constructed from solid brass and is therefore highly durable. Rest assured, the Cube Shower Mixer will withstand years of rigorous bathroom usage. Add style and functionality to your bathroom at an affordable price. Buy this mixer tap at an unbelievable bargain from Ross’s Discount Home Centre and take advantage of our 14-day money back guarantee!